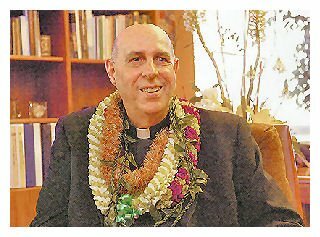 The Diocese of Honolulu has been blessed with a good bishop. Because of him, our diocese has been consecrated to Divine Mercy. The following is a prayer for Bishop Silva and all the other bishops around the world. and you strengthened them with the Holy Spirit. and to give them your nourishment. as the Church obeys and loves You. and attain eternal life with you. From New Saint Joseph People's Prayer Book., Catholic Book Publishing Co. New York. that he may be a living sign and an indefatigable promoter of the unity of the Church. of all its members and from the world that You made. Unite us closely to him and make us docile to his teachings. And, Lord, please protect our Holy Father in this time of danger. Today at daily Mass, the celebrant priest simply recited the Stabat Mater instead of giving the homily. It was so touching. The theme of the Divine Mercy Conference was Apostles of Mercy. It was hosted by the Eucharistic Apostles of the Divine Mercy - The Hawaii Cenacles. Hat tip to my friend Cc. newspaper and complained that it made no sense to go to church every Sunday. "I've gone for 30 years now," he wrote, "and in that time I have heard something like 3,000 sermons. But for the life of me, I can't remember a single one of them. So, I think I'm wasting my time and the pastors are wasting theirs by giving sermons at all." had not given me these meals, I would be physically dead today. Likewise, if I had not gone to church for nourishment, I would be spiritually dead today!" When you are DOWN to nothing.... God is UP to something! Faith sees the invisible, believes the incredible and receives the impossible! Thank God for our physical AND our spiritual nourishment! I presume that portions of the video were used with permission. Otherwise, it will be removed. Two years ago, angry men with bland faces and hateful eyes boarded planes with the intent to make a misguided statement. Their goal was to show the democratic capitalistic United States and inevitably the world that our self serving, greedy policies should be changed. Our support of Israel, our decadent ways, our avarice for money, our childish hunger for celebrities and their day to day activity or whatever the reason caused these young men to hate America so much. Their hate culminated with a well planned attack designed to make the world take notice that US ideologies will no longer be tolerated. They did this by burning alive and crushing men and women whose only crime that day was going to work. But something good, I mean very good came out of out the situation. Like a flower sprouting out of a crack in the sidewalk on a deserted street, hope was reborn. For weeks our petty bickering ended. No longer were we White, Hispanic, Asian, Black, Arab, Jew, Gentile, upper class, lower class, white collar, blue collar - no, we were American and damn proud of it. We placed American flags on our doors, our cars and our lapels. We were a patriotic country again. People started smiling to strangers. I heard "thank you" much more and I saw overt acts of courtesy by my fellow citizens; this in a major metropolitan area where rush-rush is the rule of the day. I remember basking in this patriotic glow. In the midst of it, I hoped it would never end. I enjoyed the smiles and I enjoyed watching people literally stopping to smell the roses. People were capturing the moment of the day. I had hoped this feeling would last forever. Alas, it didn't. Can't we bring back that patriotic feeling without having our hard working men and women perish by fire? We live in the greatest country ever. Opportunities abound for anyone who works at it. If you have a dream, America can provide you with the resources to fulfill it. If you want an education, it's attainable. If you want to start a business, the opportunity is waiting for you. Anything is possible in America. We have wonderful citizens. 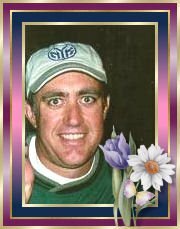 We have fire fighters, policemen and women, store clerks, farmers, truck drivers, teachers; we have a wonderful mosaic. Let's make our differences the cement that brings us all together. It can be as easy as smiling to a stranger. We have to remain patriotic, that's how our country grew in the first place. If we do, our country will continue to grow and prosper. We're only 227 years old and look how far we've come. In the process, we'll all become happier, friendlier citizens of the greatest country in the world.